The 250th anniversary of Robert Burns wasn’t simply a chance for thousands of revellers to enjoy a wee dram. 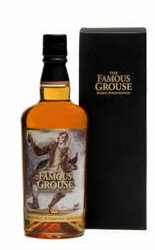 The Famous Grouse, Scotland’s Number 1 whisky, helped many charities to enjoy a more prosperous 2009. As a result, over £70,000 was raised by Burns Suppers around the world from auctioning The Famous Grouse limited edition blended whisky. The Famous Grouse created 250 limited edition bottles of 37 year old blended malt to mark both Burns’ 250th birthday and the 37 years of his short but fruitful life. 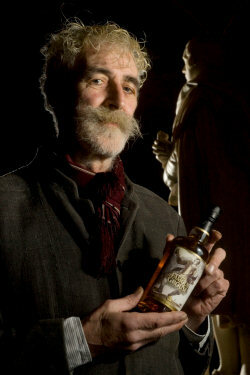 Renowned Scottish artist and playwright John Byrne was commissioned to create an original drawing of Robert Burns to adorn this limited edition whisky, making it a unique collector's item as part of The World Famous Burns Supper celebration. In keeping with the humanitarian spirit of Burns, these bottles were only available for Charity Auction. Each one was valued at a minimum of £400 but some were sold for over £1,200 and on one occasion £2,887 was raised. Many Scottish charities incorporated these bottles into their fundraising efforts, with St. Columba’s Hospice in Edinburgh raising £5,000 alone. Appropriately, the Ayrshire Hospice, based in Burns’ birthplace, also benefited as did the Highland Hospice, Edinburgh Sick Kids Friends Foundation, MS Revive, Bowel Cancer UK, Alzheimer’s Research Trust and the Motor Neurone Disease Association to name but a few. The British Chamber of Commerce in Latvia was the location of a large Burns Supper where they raised £2,878 by holding a raffle for the limited edition of The Famous Grouse – the highest amount so far. Ex-pats in Balikpapan, Indonesia imported a Macsween haggis from Bali for 200 invited guests whilst they spread the word about Burns and Scotland raising £1200 from auctioning the bottle. It may be a long way from the highlands of Scotland but that didn't stop over 300 guests toasting Robert Burns at the British Chamber of Commerce's annual Burns supper in Shanghai. They raised £1,750 following a raffle for the limited edition.